Home > Plenary 1 > Economic power: Why does it matter and how to understand it in the current global context? Economic power: Why does it matter and how to understand it in the current global context? What is economic power? What are some of the key elements in dominant economic systems that we should be paying attention to? How has relevant analysis from feminists and women’s rights activists evolved over time? 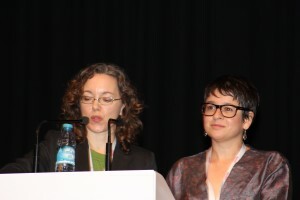 This plenary, from the first day of the 2012 AWID Forum, addressed these questions as well as the relevance and necessity of effective strategies to transform economic power given the current moment and global context.